This winning design emerged from a competition that involved five teams, selected on the basis of a pre-qualification submittal Each team presented two alternative designs for a 120-unit affordable housing development adjacent to an existing multi-modal transit facility. 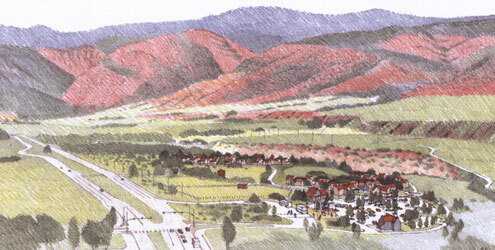 The project site offered substantial possibilities for transit oriented design, as well as neighborhood design concepts to fit the unique landscape. SCA provided site analysis and design development, along with local code and context information, and participated with Civitas, Inc. of Denver and Wolff-Lyon Architects of Boulder, in producing the winning entry for this juried competition.